Everyday I think of something I should post about. The fairy castle that is slowly taking shape, along with accompanying cottages, inspiration for which goes in fits and starts. The tomatoes that are having their best year in eons, perhaps due to last year's solarization which presumably knocked back the evil root knot nematodes. The newly restructured and yet still rather makeshift secondary compost bin. And there is so much going on besides the garden. Moving my mother-in-law to assisted living and the subsequent hours of sorting through a lifetime of collected treasures and junk. The resulting need to sort through my own treasures and junk and eliminate lots of things that I don't need to store anymore. This will be a continuing effort, lacking an end-of-month-need-to-be-out-of-the-apartment impetus. Agreeing to coordinate the care of several garden areas at church. Life, in other words, has kept me busy without time for posting. But not too busy to let you know that over on one of my other blogs I currently have a book giveaway happening and I wanted to make sure that everyone here got a chance to participate! 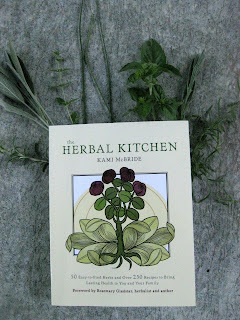 Kami McBride, local Davis author, teacher, and herbalist, is offering a copy of her new book, The Herbal Kitchen, to one fortunate commenter on my review on my Davis Life Magazine blog, Digging Davis. If you are at all interested in adding more herbs to your diet, an explanation of which herbs are used for various situations, and lots of very cool recipes that incorporate herbs into marinades, oils, sprinkles, vinegars, cordials (YUM! ), and even home made cleaning products then you need to check out this book. All commenters on the Digging Davis site will have their names put into a random drawing for a copy of Kami's book. You need to comment before 8:00 PM September 21 to be in the drawing so head on over and check out the review. Your life is full and busy~The castle is way cool. Cottages, too. The lucky kids that visit your garden. 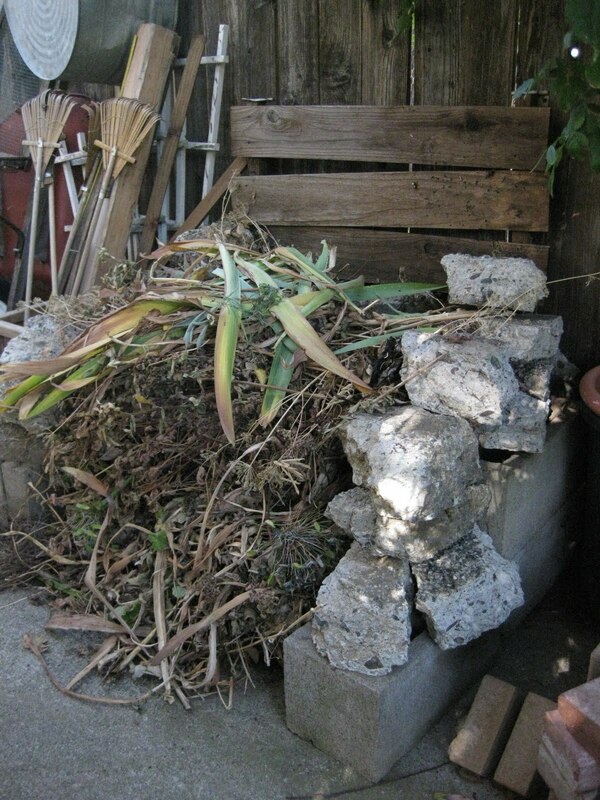 All looks intriguing but my favorite is that compost bin, ragged or not. Kudos to you.